All aspects of your PR activity covered plus a two hour consultation – this is our most comprehensive package. 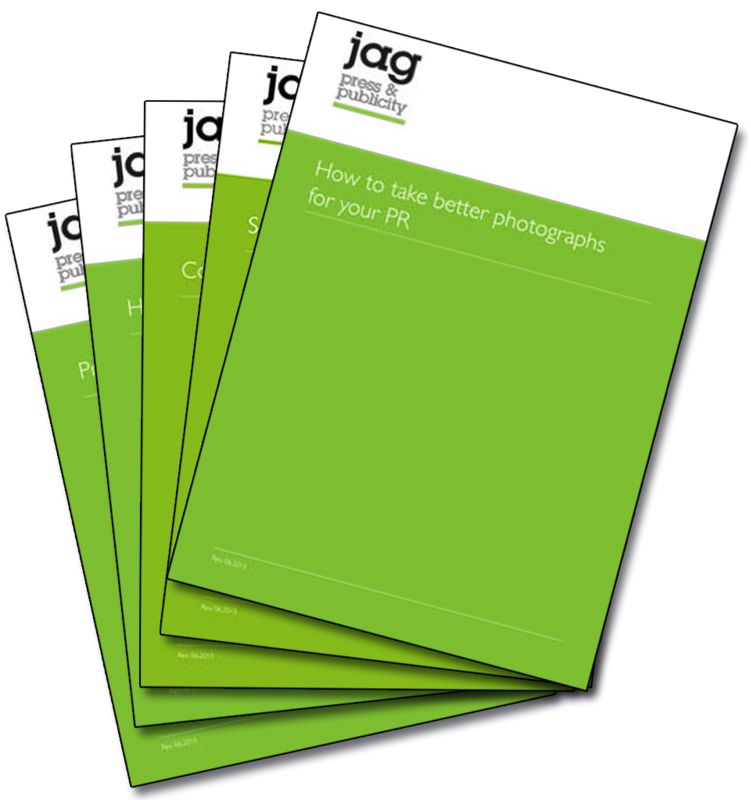 Providing you with strategy guides and templates, a press release writing guide, advice on how to pitch your story and how to take better photographs, this DIY PR package benefits from a two hour consultation with jag’s Director. The time can include a face-to-face meeting (if local) and/or a Skype call in one or two sessions, or shorter consultations over a number of sessions, depending on your needs.